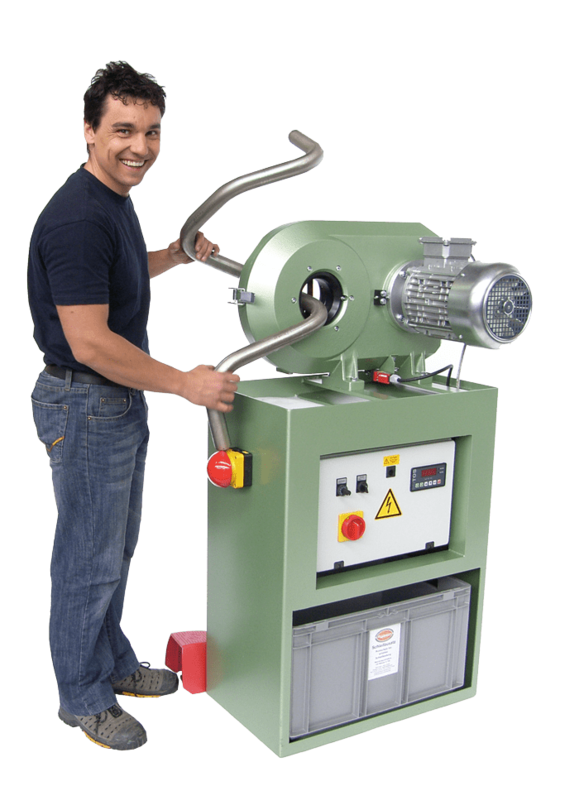 The pipe grinding machine is suitable for grinding pipes with circular and elliptical cross-sections. The special feature is that even bent tubes can be ground on these machines. The ease of use, speed and quality of work make the pipe grinding machine an indispensable machine for all branches of industry with pipe processing. Each sanding belt performs two movements: A transmission movement on the drive rollers and a rotation around the axis of the tube to be ground. This system guarantees that the workpiece/tube is ground over the entire surface of its circumference. The use of a wide variety of abrasive belt grits makes any grinding pattern possible. The abrasive belts can be replaced quickly and easily when they are worn out or another grit size needs to be changed. The machine works in dry grinding. 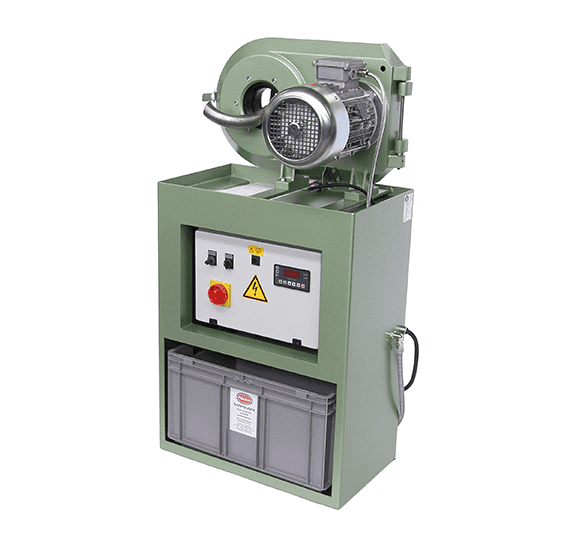 However, it is better to use the built-in wet grinding device in order to immediately bind and remove the grinding dust occurring during the grinding process. In general, optimum grinding results are achieved by using the wet grinding process. Moreover, the wet grinding device guarantees cooling of the workpiece.